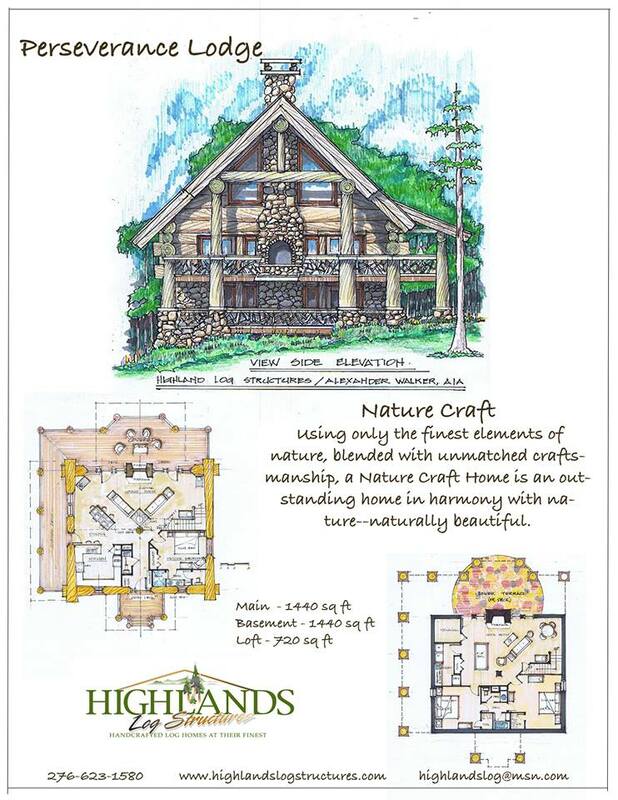 Welcome to Highlands Log Structures, Inc.
​There is nothing like the look, smell and feel of a log home. 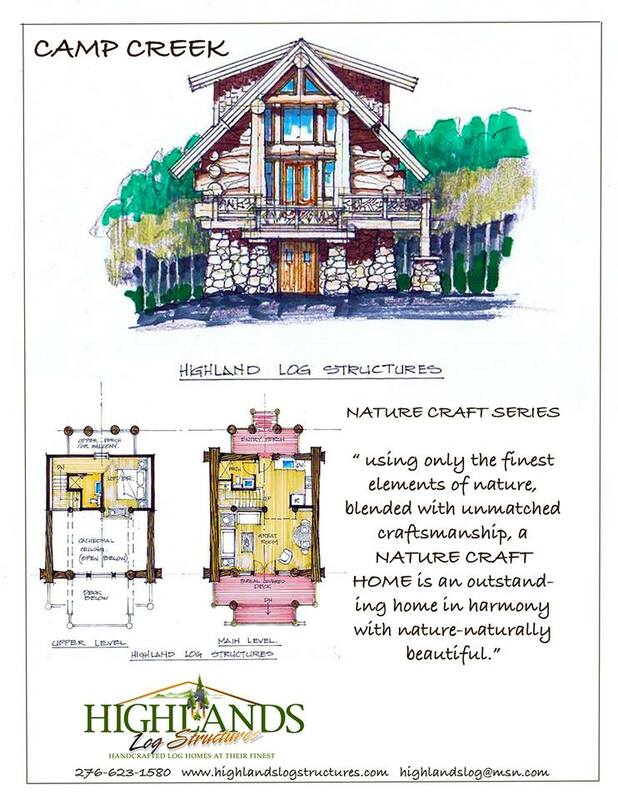 At Highlands Log Structures, Inc. we strive to provide you with an exceptionally handcrafted log home. With each pull of the drawknife, mark of the scribe, chip of the chisel and stroke of the saw, our craftsman create an artistic masterpiece. True beauty is only achieved with attention to detail and hard work. 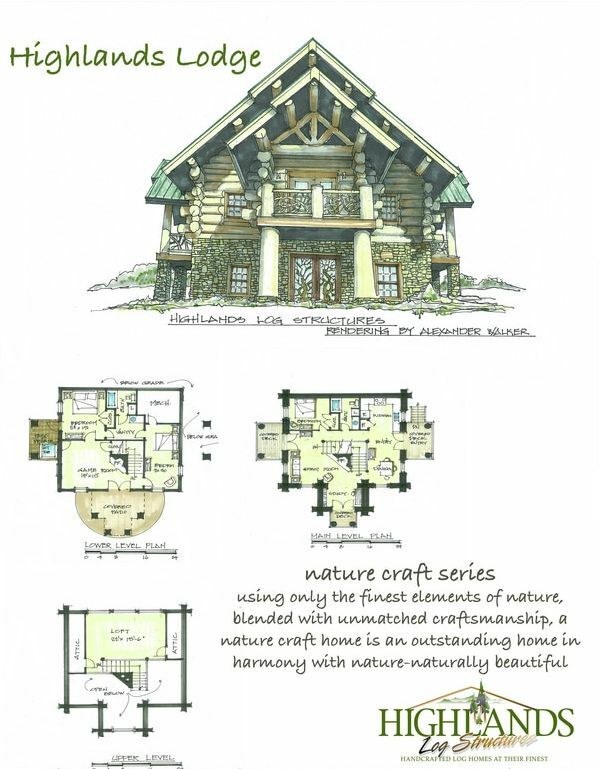 Let us take you on a journey into the World of handcrafted log homes. 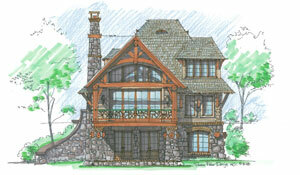 ​Over the years, Highlands Log Structures, Inc. has evolved in many aspects of building log homes. 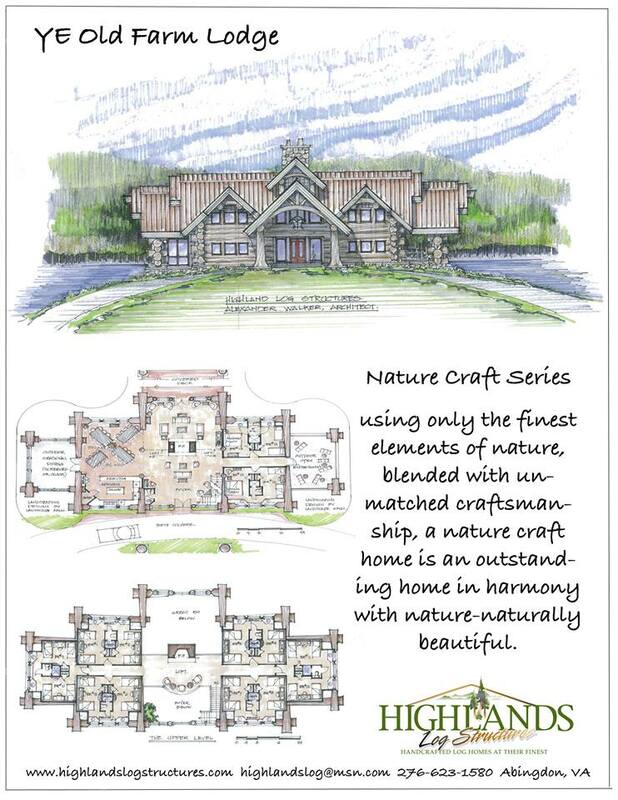 We now offer various services from full log construction, log accents, post and beam homes, to our new Nature Craft series. 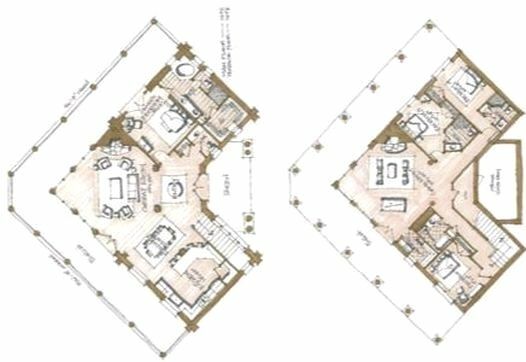 We also offer a wide variety of building components, design services, contracting and consultation services, as well as, interior décor. ​At Highlands Log Structures, Inc. our primary building species is Eastern White Pine. Our pines are harvested locally in the mountains of Virginia and Tennessee. In this area, we have abundant, naturally renewable resource that is excellent for handcrafted log home construction. However, if you are interested in a different species, please give us a call and we will strive to find the material you are looking for in your log home. 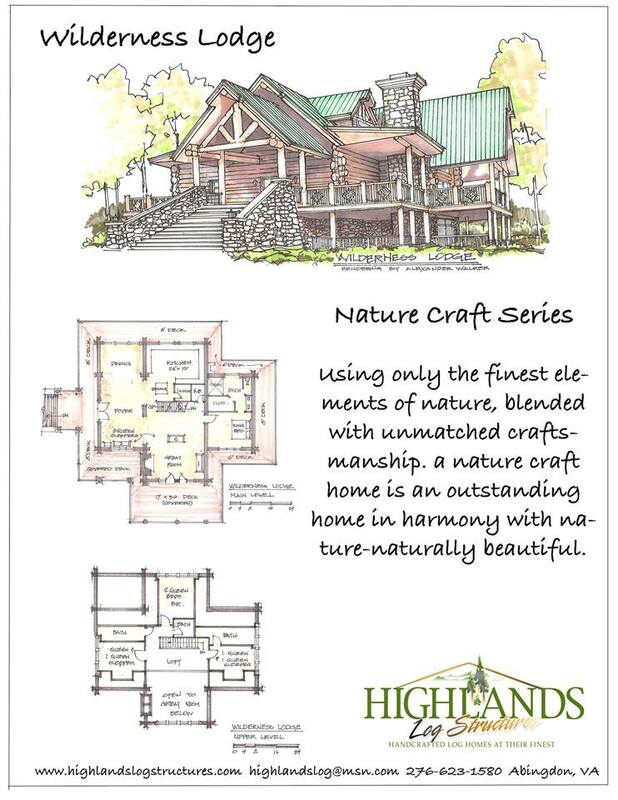 At Highlands Log Structures, Inc. we specialize in handcrafting. Our basic package includes log work and re-erection crew only. If it is not a log, then it is not included. Log work from home to home may vary, depending upon the requirements of the homeowner.​ Log shells vary due to the client's specifications. Choose from a variety of options to make your shell unique. Looking for a custom table, desk top, barnwood door, pallet door, reclaimed mantle, or any other specialty wood item? We can help custom design those pieces you desire. ​This stunning log home is perfect for a weekend getaway at the lake or in the mountains. The petite floor plan and combination of wood, stone and nature prove sometimes the "Bear Necessities" are all you need. Come and hibernate at the Bear Necessities Lodge. This is a true mountain log home. Named after the "Saddle Notch" style of handcrafting logs that brings it to life, the true skill of the craftsman and beauty of their woodworking is evident throughout. Outdoor living becomes fused with the indoors through the large expanse of glass. 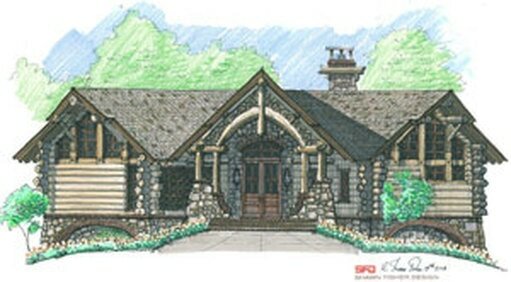 This log home floor plan offers a true touch of nature. 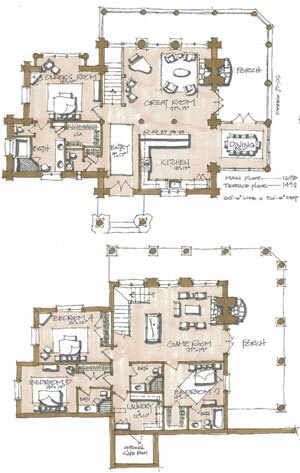 This priceless log home floor plan is perfect for capturing main floor living. Spacious yet inviting, it beckons the call to entertain. Memories here will be precious. It's a true gem. ​While engulfed in your own forest of magnificent timbers you can capture the views from the highest ridge. This uniquely designed log home boasts a magnificent master suite and lots of entertaining space for the rest of your family and friends. Don't see anything you like...no problem! 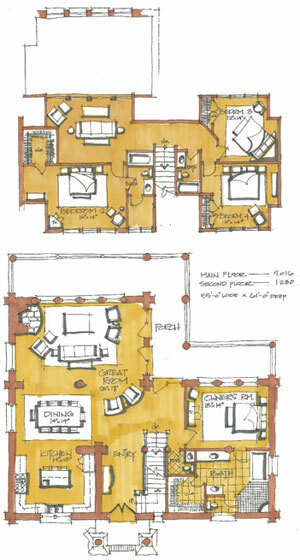 ​Let's Custom Design Your Home. "We had spent many years researching what type of log home and who we would use to build our dream home. 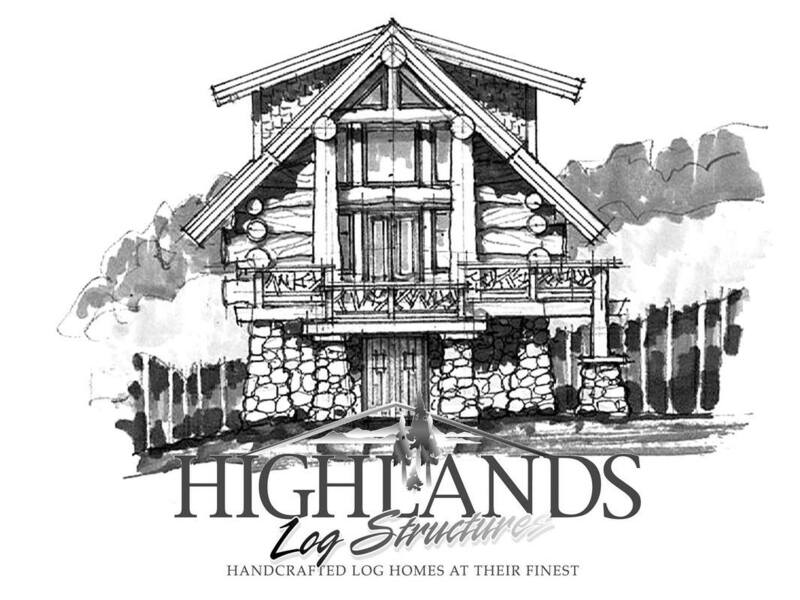 After finally looking at many completed homes of different manufactures, we had chosen Highlands Log Structures Inc. Their expertise and personal approach was outstanding throughout all phases of planning and construction. The workmanship and the final finished product has made us very proud log home owners." "Winston and his architect were able to create for us an incredible structure delighting all of our guests the moment they turn into our driveway. 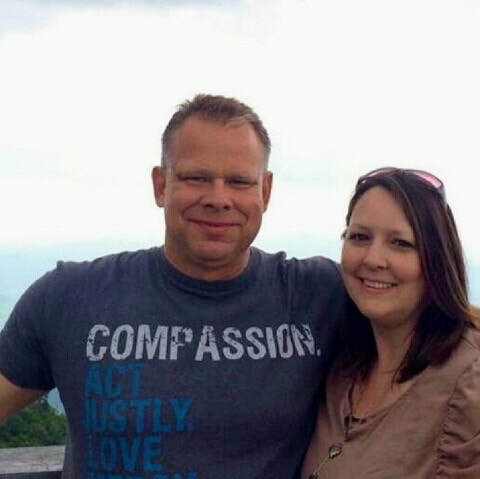 We can't thank him enough for his continued help and support for all the questions we have ever had. 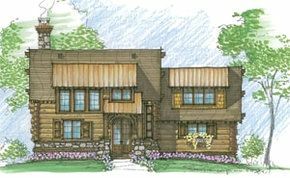 Full size log homes are amazing buildings, and they fit well in the character of our lodge in the wooded mountains of our community. 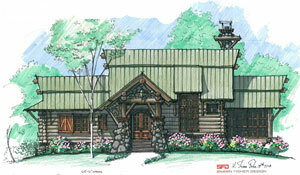 Highland Log Structures Inc. has to be one of the best log home businesses anywhere in the US." 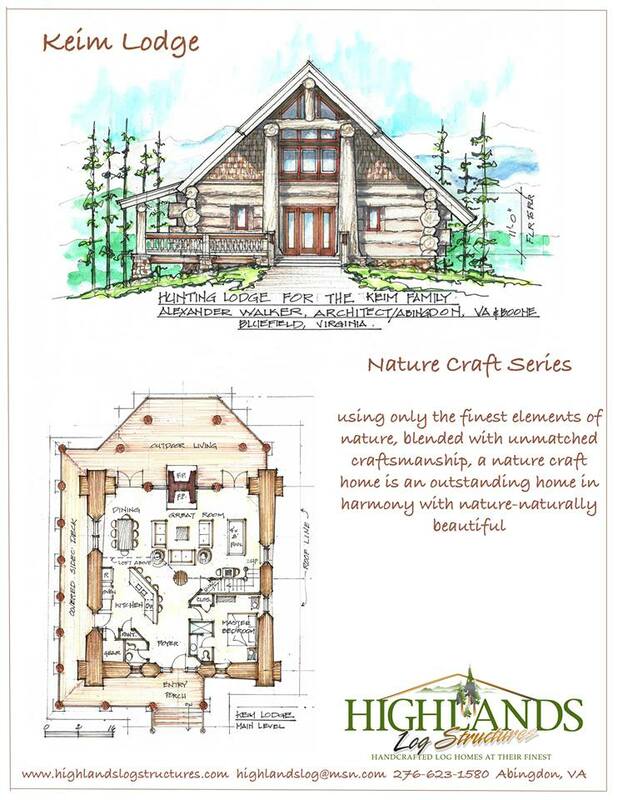 "We always dreamed about building a log home and on our travels to visit Nashville, we would often drive by the Highlands Log Structures' model home in Abingdon, VA. After meeting with Highlands, we began building our log home in nearby Bluff City, TN. The house is almost completed and we are very pleased that we chose this family-owned business to create the perfect home for us. The Johnson's and their crew of skilled craftsmen are a very hardworking an fun-loving team, and we highly recommend this wonderful business to anyone looking to build their dream log home."